Seaside’s three distinct shopping districts offer a variety of tax-free shopping experiences, whether you’re interested in antiques and apparel or surfboards and smoked salmon. 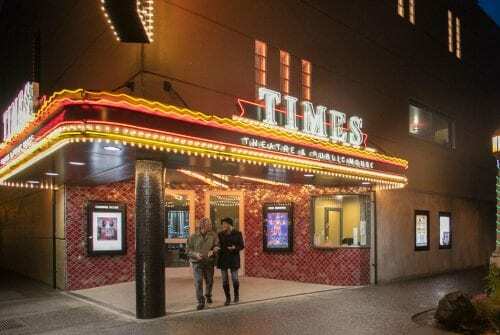 A downtown Broadway core offers a variety of boutique options while North Seaside provides top national brands in the form of tax-free factory outlet shopping. 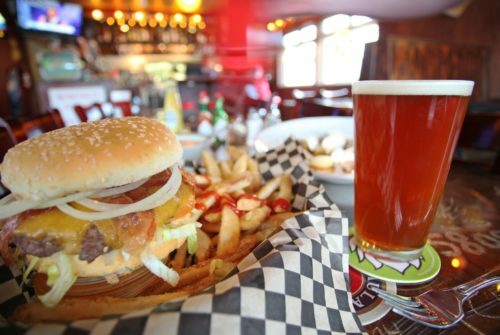 South of downtown, options include a fresh fish market that is one of the best in the region. 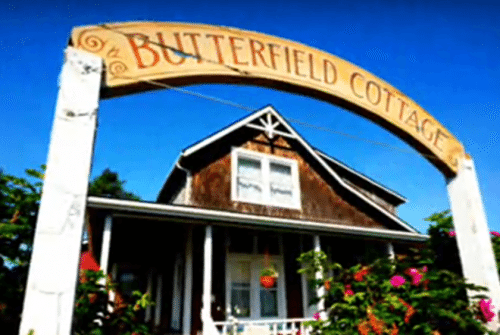 At the Buddha Kat Winery Tasting Room in Seaside shoppers can indulge in and purchase all of their red and white wines, award-winning ports and delectable fruit wines. By The Sea offers shoppers a variety of seashore related and nautical gifts, greeting cards, table ware, fossils, collectibles, picture frames, decor and more. Cotton Club offers clothing for the beach, at the beach. They have souvenir apparel, swimwear, hats, t-shirts, and hoodies. Shoppers will also find jewelry, games, toys and fun items for the beach. Del Sol offers apparel and accessories. Their products are engineered with color-changing crystals that are used on nearly 10,000 color-changing retail items. 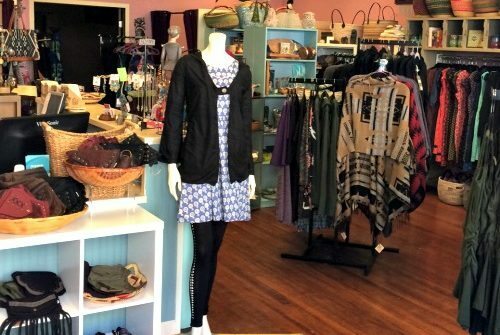 The Freedom Clearance Outlet is a clothing store that offers customers a wide variety of clothing and items for a day at the beach, including Seaside Oregon designs. Freedom USA is a clothing store that also does screen printing, graphic design and more. They offer a wide variety of prints to choose from, including Seaside Oregon designs not found anywhere else. If visitors have an idea they want to see on a shirt, Freedom USA can make it happen, on the spot. 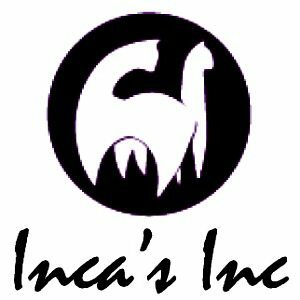 Inca's Inc provides shoppers with alpaca clothing and textiles from alpaca sheared high in the Andes mountains of Peru. Shop for sweaters, coats, jackets, dresses, skirts or accessories. Inca's Inc also sells rugs, bedspreads, blankets, tapestries, unique home decor items, ceramics and musical instruments. Molly Morgan Jewelry offers a large sterling silver display and varied designs from cutting edge to classic. Shoppers will find handcrafted jewelry and gifts at discounts from 50-75% off normal retail prices. Wine lovers won't want to miss the Naked Winery Tasting Room in Seaside. The mission of Naked Winery is to cut the divorce rate in half by encouraging couples to take time every day to connect by sharing a glass of wine together nightly. They produce premium class Washington and Oregon wines, with exotic brands and provocative back labels that are just a bit risque. Naked Winery wants you to get uncorked and enjoy what life unexpectedly brings you. North Coast Leather carries leather gifts from A to Z. Shop for coats, belts, wallets, hats, accessories and from a large selection of motorcycle leather. Oregon & More is also the Seaside Jerky Store. Customers will not only find exotic jerky they also have unique edible gifts and snacks including, local jam, jelly, syrup, raw honey, wild mushrooms, nuts, dried fruit and more. The Oregon Gallery features photographs by Ron Keebler. Shoppers will find panoramic, coastal, mountain, city, rivers and waterfalls and black and white photographs for purchase. At Seaside Bath Salts shoppers can purchase from 25 fragrances of bath salts. They also offer unscented sea salt, pure epsom salt, fizzers for baths or showers as well as a selection of massage oils. Seaside Carousel Mall, located two blocks from the Pacific Ocean, is built around a replica of a classic carousel. Children and adults alike can enjoy a musical ride on a horse, cat, or other carousel animal. Surrounding the carousel are shops with gifts, clothing, souvenirs and more. Shoppers can also enjoy a treat at one of the many shops that feature candy, ice cream, and coffees. Seaside Mostly Hats has hundreds of brands in stock. They carry a variety of women's, men's, children, and unisex hats and they offer a great selection of scarves, gloves, and handbags too. Sharky's is home to the one and only Great White Shark mechanical-bull ride. Shop at Sharky's for souvenir apparel and custom-printed clothing, plus beach gear, toys & accessories. The Spay and Neuter Thrift Shop of Seaside offers bargains on gently used clothing, books, household items, shoes, small furniture, etc. Their proceeds are used to benefit the dogs and cats of Clatsop County with spay and neuter certificates. Ter Har's in Seaside features clothing from sweatshirts to swim wear, casual to comfy. They offer souvenirs, hats, shoes and accessories. They have lots of brands to choose from including many made in the USA. The Aspirin Shop stocks over the counter medication but also carries gifts, collectables and souvenirs, as well sunglasses, umbrellas and flip flops. The Heron's Nest features a large selection of gifts, collectibles and souvenirs for all ages. Also it’s Christmas year-round at The Heron's Nest with traditional and beach theme decor and gifts for the holidays. The Jewelry Box has special items like costume jewelry and sterling silver jewelry with natural stones. Shoppers will find a large selection of hand made Indian jewelry, scarves and purses as well. The name says it all. A store full of anything and everything for guys. The Man Store has T-shirts, sports paraphernalia, keg handles, signs, hats and flags. They also offer wall art, decals and wood carvings. The Old Crab has clothing and swim wear along with souvenirs, gifts and jewelry. 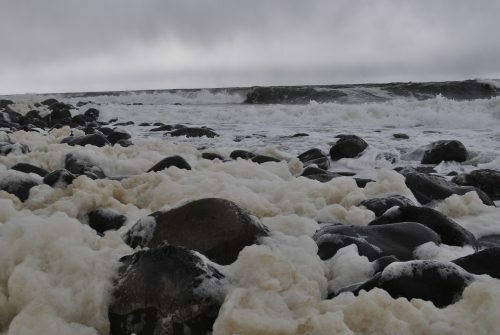 Visitors can find beach toys, boards, blankets and seashells. They also feature authentic Nascar licensed and authorized photos and die-cast cars. The Purple Pelican offers shoppers a selection of jewelry, pottery, figurines, crystal items, glassware, unique gifts and more. The Rasta Shop offers a unique selection of Rasta themed gifts ranging from clothing, jewelry, glassware and incense. Visit Tipton's for sophisticated home decor including handcrafted candles as well as a year-round Christmas decoration section. At Under the Big Top Toys shoppers of all ages will find books, games, puzzles, puppets, beach toys, fairy wings, and even gag gifts. US Leather Works has all things leather, from jackets and satchels to hats and accessories. Explore apparel, handcrafted furnishings, folk art, musical instruments, jewelry and accessories from over fifteen countries. All items have been purchased directly from the artisans, small family workshops and cottage industries. Direct trade is the business philosophy of West of the Moon; to ensure fair living wages and to promote earnings that stay in the small communities. World of Gifts in Seaside is where shoppers can find a large selection of odds and ends as well as trinkets and souvenirs. Your Store offers a variety of casual souvenir apparel for the whole family at $6.99, $12.99 and $14.99. At Your Store they do custom printing as well. Beach Books is a locally owned book store featuring best sellers and titles by regional authors. Monthly author visits, annual book fairs and other events are offered as well. Beach Puppy offers shoppers a wide variety of items for dogs. They have everything from collars to clothing, to treats and bling, and all sorts of toys for pets. Fairweather House and Gallery is the local source for stylish, chic, and livable furnishings, as well as art, and accessories. Many mediums are offered including glass, paintings, photography, wood, stone, bronze, sculpture, ceramics and jewelry. At the Gilbert District Gallery patrons will find featured pieces from Dave Bartholet's Wildlife Art collection. Moxie Fair Trade offers eclectic styles from exclusive jewelry to eco-friendly clothing. At Moxie everything is handmade. The Seaside Antique Mall is full of a variety of items from high end to vintage collectables with an ever changing inventory. 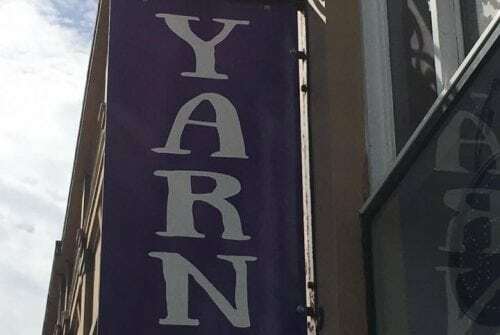 A knitting, yarn, and craft shop that focuses on community-building by offering a free Knit Night and a rotating selection of all-ages knitting and crafting classes. Shamous'es Rocks is where visitors will find a variety of rocks, fossils and gem stones. Shamous is a lapidarist who will also buy, sell and trade. SunRose Gallery is filled with whimsical and interesting items. Shoppers will find mosaic art, paintings, glassware, art from local talent and more. Ready to explore the hiking trails? Tonquin Trading can help with backpacks, hiking shoes, hydration, food, rain gear, tents and even point shoppers in the direction of the best trails around. The Westport Winery Tasting Room in Seaside offers wine, olive oil, vinegar and gourmet food tasting, plus a great selection of wine, decor and coastal gifts. Enjoy wine and cheese in the tasting room. Bell Buoy of Seaside is a family-owned seafood market that specializes in local fresh seafood. Blue Bond Studio and Gallery features paintings by artist Blue Bond done in oil on canvas. 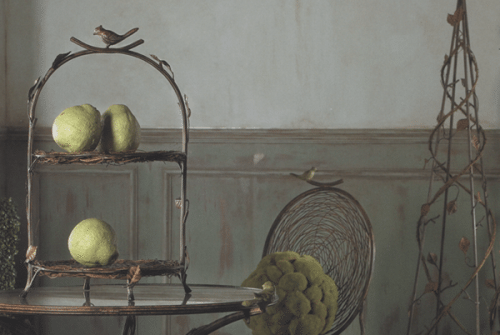 Animals, people, still life, and scenery pictures delight guests. Blue is also a teacher, and enjoys passing on his vast knowledge to novices and experienced painters alike. Cleanline Surf provides everything needed to surf, skate, snow, and kite surf, including a wide assortment of quality apparel, footwear, and eye wear. Hustle n' Heart is a variety store that is not your average stinky thrift shop. Everything is gently used to new. Also offering custom epoxy resin, vinyl lettering and notary public services. Mimi's carries fresh flowers, plants, silk arrangements, balloons, gifts, and locally made candy. They also do special events, weddings, funerals, and flowers for all occasions. Over 100,000 square feet of savings, shopping, food & more. Just a few blocks from the beach. Seaside Surf Shop is a full-service surf shop with boards, from ultra-modern shortboards to classics, warm wetsuits, surf accessories, and clothes. They also carry skimboards, bodyboards, skateboards, and offer surf gear rental year-round. Patrons of the Seaside Thrift Store will find clothing, jewelry, collectibles, furnishings plus many American made and unique items. Patrons of Seaside's Stuff will find a thrift shop full of new and barely used stuff. They buy and sell with inventory changing weekly so shoppers can always find something new.